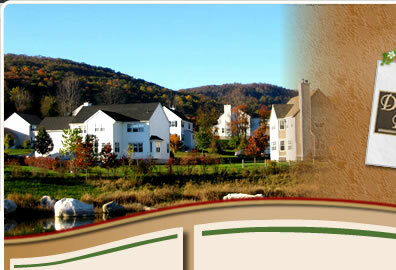 Welcome to the Squire Green at Pawling Homeowners Association website. Please feel free to contact us with your thoughts, comments and suggestions. Our annual meeting has been rescheduled to Wednesday, January 9th at 7:30 p.m. in the Clubhouse. If you cannot attend the meeting, please fill out the proxy form and send it along with your designated representative to the meeting. The Board is asking for homeowners cooperation so that a quorum can be achieved. On Saturday, December 8th, the Pawling Fire Department will be escorting Santa Claus around Pawling aboard a fire truck to see the children and spread holiday cheer! Please feel free to gather with your friends and neighbors at 12:00pm at the Deerfield Gazebo, to see Santa arrive and greet the children. The Christmas tree lighting on the Deerfield Green is scheduled for Sunday, December 9th beginning at 6:30 P.M. In addition, there will be holiday music playing in the gazebo along with a much anticipated visit from Santa at 7:00 P.M. to light the tree. Light refreshments will be served. 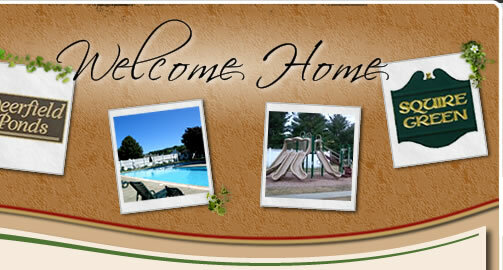 Residents are welcome to bring baked goods and the HOA will provide hot chocolate and cider donuts. In addition, participants are welcome (although not required) to bring labeled canned and boxed foods which will be donated by the HOA to the Pawling Resource Center before the holidays. With Halloween approaching, the HOA has once again implemented an 8:30pm curfew on Wednesday, October 31st for the community to insure that all residents have a safe and enjoyable holiday. We ask that residents please turn off their porch lights and refrain from giving out candy past this time. There will also be private security patrolling the community to make sure older children are not roaming about causing mischief. On Saturday, October 27th between 8:00am and 11:00am at the Clubhouse, there will be two 30 yard dumpsters available for residents to dispose of bulk items including metal appliances and household furniture. Proof of residency is required. The following hazardous items will not be allowed: paint, paint thinners, mercury containing products, used oil, antifreeze, tires, batteries, light bulbs, television sets, stereos or any other electronic hazardous waste.